You did well lasting until 2.40am when surrounded by inebriated people when sober yourself. Thats a good old gallop there. My Alison spends a lot of time on a horse at the local RDA stables, thank goodness she doesn't own her own horse or it might turn up in the back garden. For the first time in about 7 years, we picked up a KFC from the local newly built drive through. It will be at least another 7 years before having another one after draining all the oil out of the chicken pieces and popping the chips under the grill to crisp them up. Just time to nip out and wash the Jag before heading off to badminton again. Tough life being retired eh? Does Alison work at the stables or just uses them? I used to go to a RDA stables some 20 miles from me but unfortunately have to give it up. You must have some back garden to accomodate a horse! As you know Neville I enjoy a pint but try to keep off the booze if I am driving any distance. I go more for the social aspect rather than the booze aspect. As for KFC only used them them twice. Dont enjoy them at all. I had chicken 'popcorn' some years ago and had the same experience as you. Soggy chips and chicken that tasted more of cardboard than chicken. Talking of washing id better get out and wash mine. Its been uncovered and used a couple of days so got to get it back up to standard before my Sunday run. Then tomorrow its off on my Stretch The Wheels run. Wednesday I am taking a lady for a drive as she has seen the car and is thinking of buying one. She thinks, like I originally did, she only wants a XK8 but going for a drive to convince her otherwise. Alison does a lot of voluntary work at the RDA stables and pays something like £40 her week into the coffers to get the use of the horses for the "accessional" twice/thrice a week hack. Back garden is not that big, but bigger than a horse at about 60ft x 60ft. Its shame I can't get a car through the personal side gate to the rear garden or my parking problems would be over - but then I'd have an Alison problem if you know what I mean! If your lady friend fancies an XK convertible, I just happen to have the best one in UK for sale! Happy to deliver and share a pint with you. I never got paid for the work. Did not realise Allison was into the horses. Perhaps if you venture this way Id give her a tour of the stables? Though she probably sees enough horses! Got to admit I should be ashamed of myself! I never put the two of you together ie she looking and you selling. Stick up your cars details on here then I can print it off and tell her all about it or a link perhaps ? I would happily give you a lift to the train station too, via the pub. As I said before should be meeting her on Wednesday. Its the 1999 XKR Convertible? I am amazed its still for sale but then so are lots of other Jags lingering on the market. I put it down to Brexit causing a lack of confidence in the car market. Right! I am pointing a guy called Andy on another Forum in your direction. I think he is after a X100 though. Perhaps he might be tempted with the x150 though it is nice. Airbag Fault Code 2 2. Apparently this is a very common fault code. Lots of had it and are frustrated trying to fix it. Garages, especially Jaguar, charge big bucks to fix it. A few have had modules changed and fitted and still have the problem. Lets start with the basics. What is it? You get into the car turn on the ignition. The Airbag logo flashes twice on the dash. Pauses. Then flashes twice again. When you start the car the airbag warning light stays on, non flashing. Your car fails MOT. So the video below is what happens when you first turn on the ignition, but dont start the car, the car goes through the system check. Count the flashes. So what is happening? Well if you run a diagnostic and the look up the code it comes up with "Driver Side Airbag" Not exactly helpful is it? 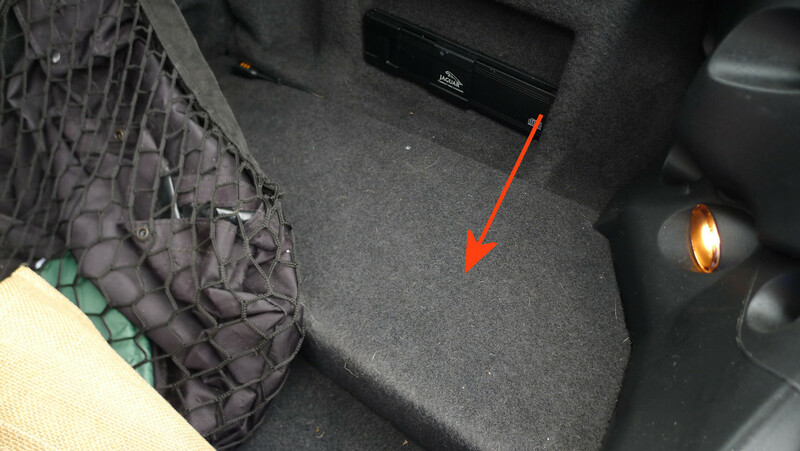 Apparently it can be caused by a sensor in the seat back or underneath the drivers seat. 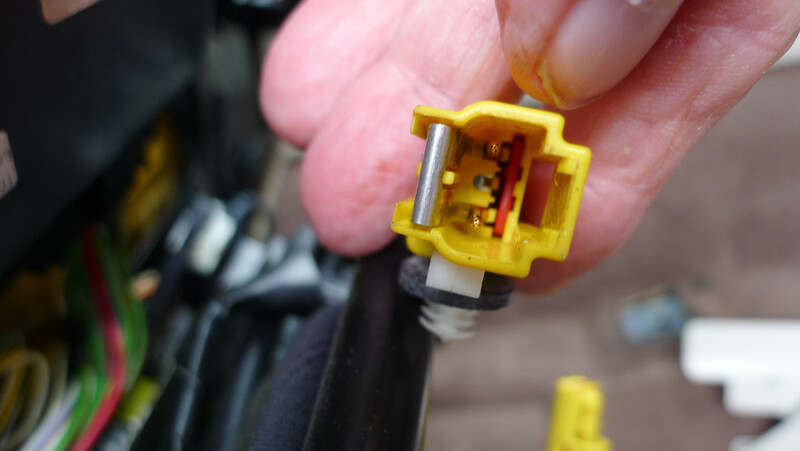 All the yellow coloured connectors are for the safety system. Air bags, restraints etc. Ok Frank you have me hooked. I am useless with mechanical bits so how do I fix it? 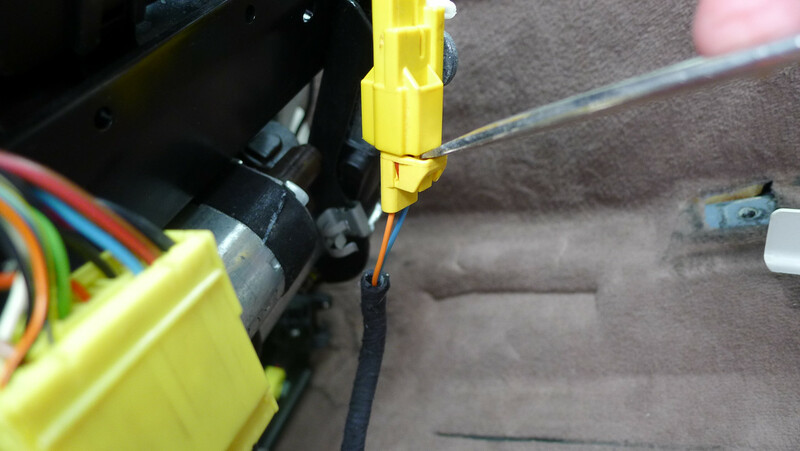 Having done all the connectors in the back of the seat some years ago I decided this time to go for the ones under the seats as obviously I still have the fault, occasionally, every 6 months or so then it disappears again. 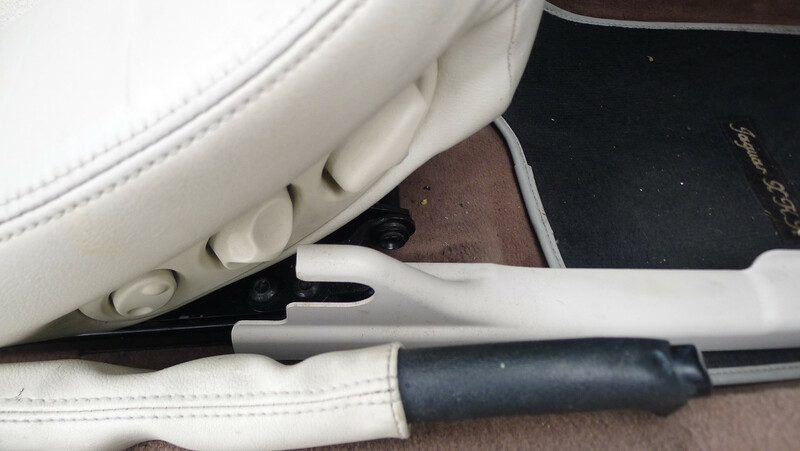 The rear of the seat has two hex nuts. The front has two hex nuts. Using the motors move the seat as far forward as you can. 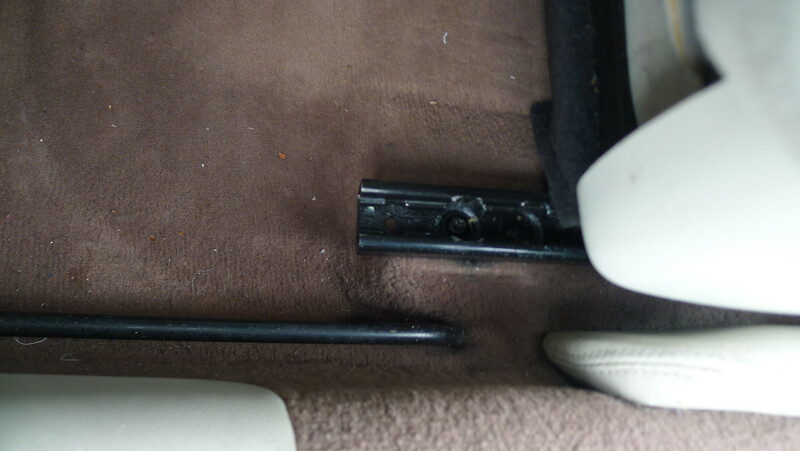 This exposes a Hex nut either side of the seat. The poor photo below shows the nut in the middle hole. The one on the other side was in a different hole. Time to do the front two. First off you have to remove the plastic covering panel on the outside of the seat. Here it is next to the handbrake. 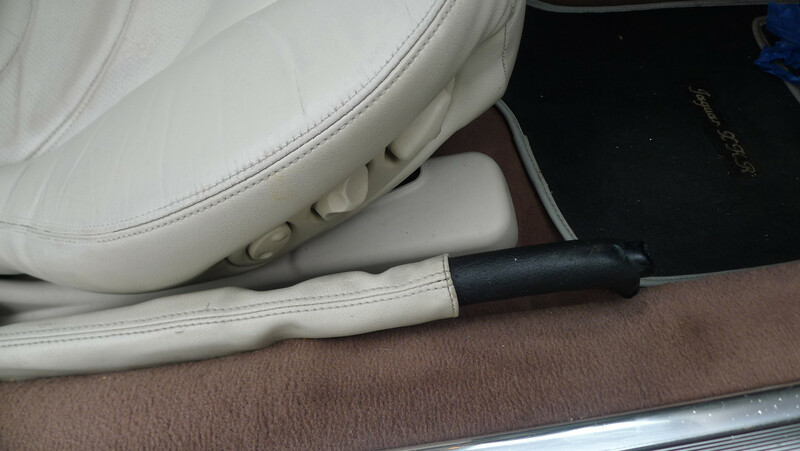 It slides forward off a big nut at the rear of the seat. **** note originally at the factory it was stuck on with double sided tape. You may have to work it free. Drive the seat backwards. You will find there is only two screw/bolt holes at the front but three in the rear. When you rebolt the seat you put the front ones in first and the holes that the rear ones go in will be obvious, rather than having to work out which of the three holes you should use. Right you have the rear and front bolts out. Now take a peek under your seat and you may see something like this. They will/should not be loose like this. I freed them to see if I could clean the connectors without removing the seat, you can't. Go around to the boot to disconnect the battery. Yes I know YOU know how to do it but others new to our cars may not. 1...... If you disconnect your battery for what ever reason you will more than likely have to reset your windows afterwards. 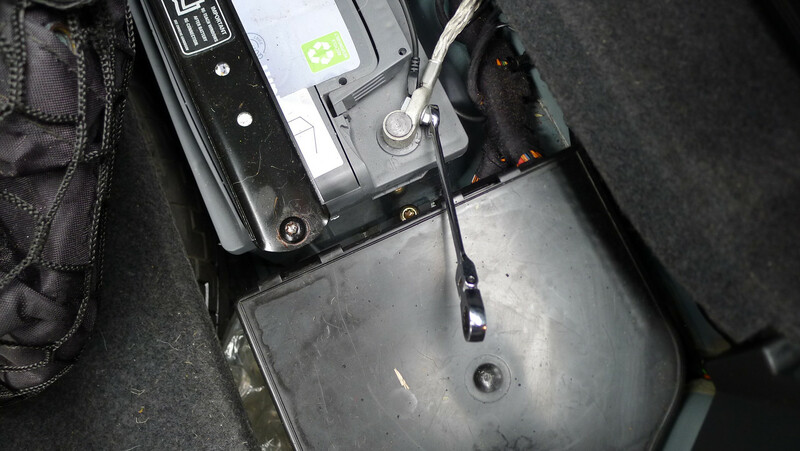 Once battery is reconnected get inside car. Close door. Ignition on, but car not started. Open both windows all the way to the bottom...... HOLD THEM THERE........ You will hear a faint click. Now both windows all the way to the top. Again hold them there. Faint click. Job done. 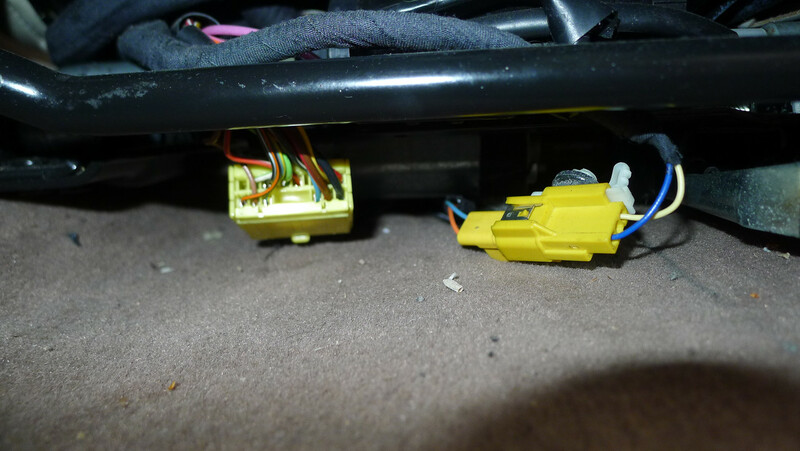 3..... Before disconnecting battery ensure your drivers door is open and you have the keys in hand. When I reconnected my battery the doors locked! Luckily my door was open. 4..... Put a towel etc across your boot latch. So you wont forget and slam down your boot shut with battery disconnected. Find your battery cover and lift it out. Disconnect battery at negative end and put to one side. The temptation at this point is to rush round to the front and start disconnecting things. Be patient. Do those odd little jobs like vacuuming under the seat or cleaning the back of the seat, counting all the money found under there. Allow time for any potential energy to dissipate from the electrical system. Most will tell you to touch the disconnected negative terminal to the positive terminal to discharge but I have never been brave enough to try it myself. Put the seat back down and manipulate the seat so that the underneath is workable. 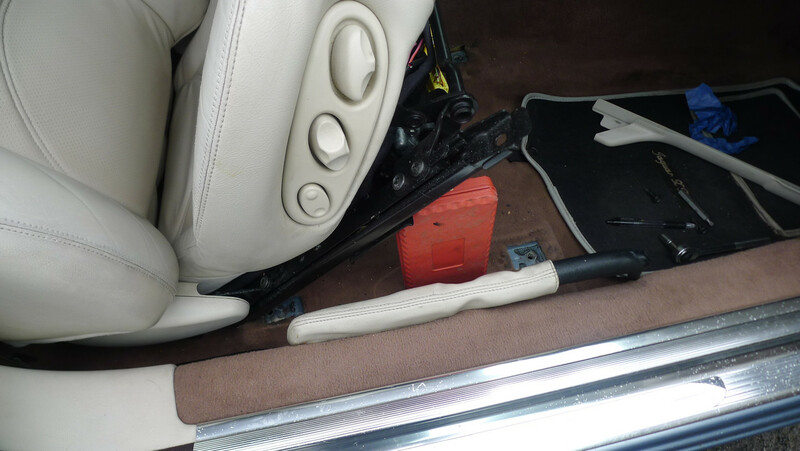 I propped my seat up with a plastic socket set container, seen below in red. Once apart this is what you should see. Looking at this its not too bad at all. Sometimes you get black pitting or dirt. Mine looked clean. I still sprayed BOTH halves with electrical cleaner and as I waited for the connections to dry I did the other two yellows for good measure. 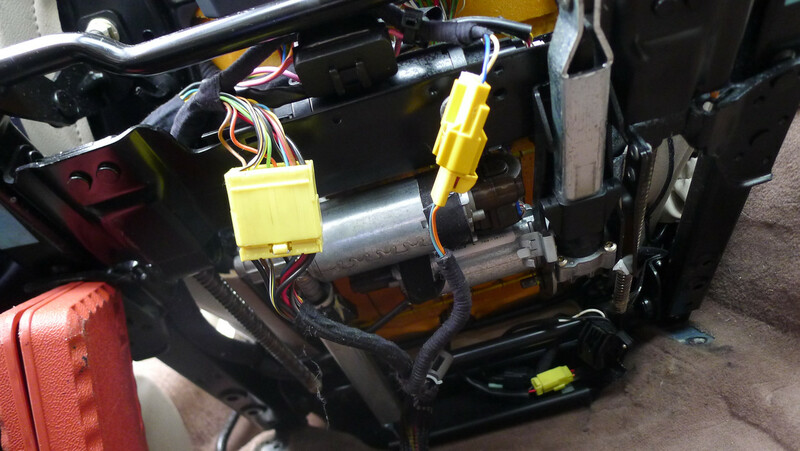 So ALL yellow connectors done. Reconnect. Fix seat back in. Jobs done! All in all half an hour without any effort. That includes vacuuming! You may also be richer from what coins you have found. As an added bonus my seat back motor has started working again. When you put the passenger/drivers seat forward the headrest should come down. On my drivers seat it never did, but I never move the headrest from the fully down position anyway. Even so whatever I cleaned under there the things working again, and I had honestly forgotten all about it. Hope in the future this helps someone. Did I miss anything or something not clear? Thanks! Last edited by frankc; 16-04-19 at 20:26. I know it was a while back, but I just got round to installing a Dash Cam, based on your descriptions. all went well and it is now up and running. One observation i would make is that with this set up I can install a similar wiring solution in my X type and switch the camera between cars. Ideal. Thanks Roy. Glad you found it of use, very good of you to give me feedback too. Always appreciated.